Election results will no longer be transferred from polling units manually during the 2019 general elections. This is according to the Independent National Electoral Commission. It follows the commission's claim that it has developed technology that will fill the vacuum. The new technology will allow the commission use e-Collation and Result Transmission System in all the 120,000 polling units in the country. The Resident Electoral Commissioner (REC) in Ebonyi, Prof. Godswill Obioma, said this at a meeting with faith-based organizations in Abakaliki. Obioma reassured the electorate that their votes would count in the 2019 general elections and urged them to participate in the ongoing Continuous Voter Registration ( CVR ). He said: “INEC is strengthening the process of transmitting election results electronically direct from polling booths to INEC headquarters. “We hope that the latest technological innovation would be perfected and deployed in the 2019 general elections. 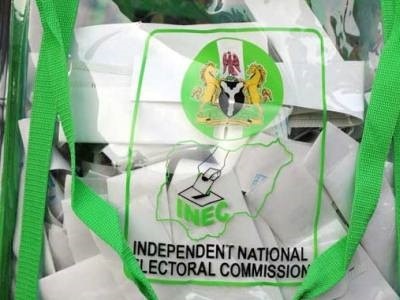 “The new strategy would discourage politicians from ballot box snatching, stuffing of ballot boxes and indulgence in other forms of electoral irregularities. “The commission would do everything to ensure that votes count in 2019 and that those who would emerge do that through popular votes.